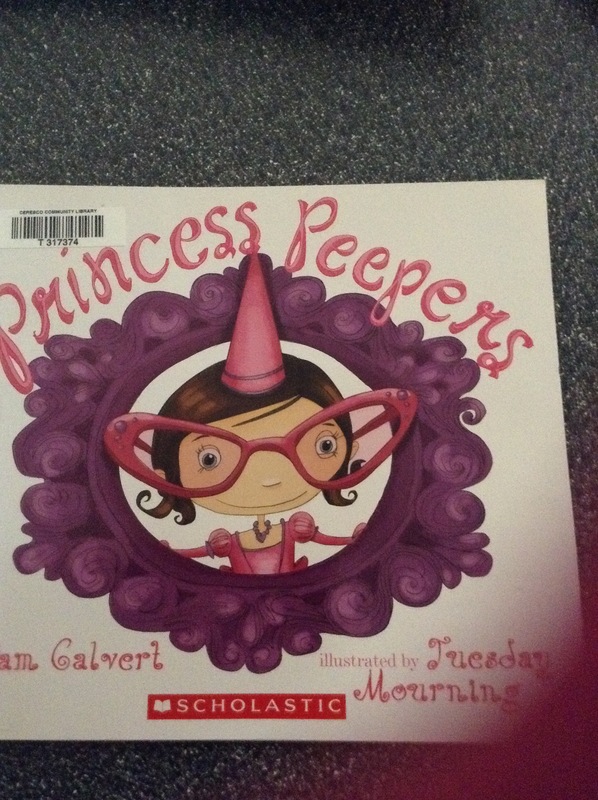 This week I am reviewing a book I found recently at the library called “Princess Peepers.” This was an adorable book about real life situations, kind of, written by Pam Calvert and illustrated by Tuesday Mourning. 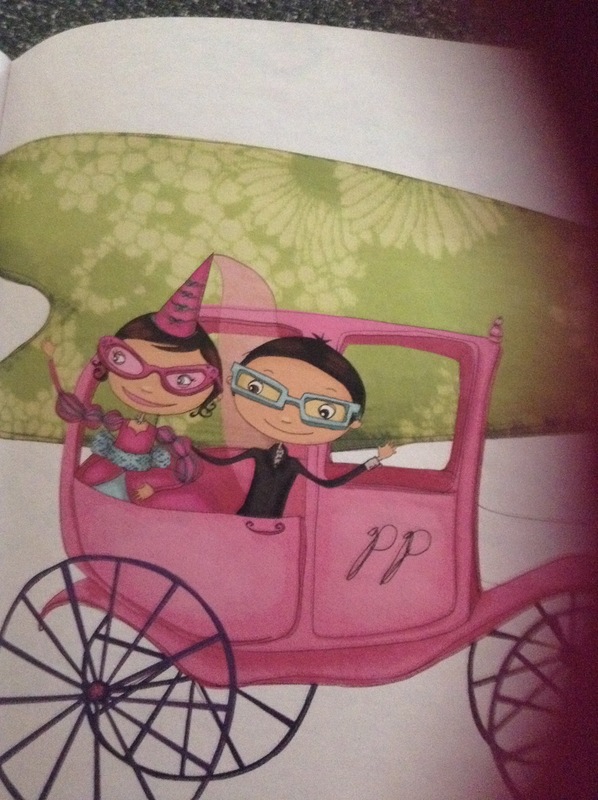 The book starts out showing us a princess that absolutely loves her wide collection of glasses. She had all kinds of fancy glasses, a pair for every occasion. Everything changes when she attends the Royal Academy for Perfect Princesses. 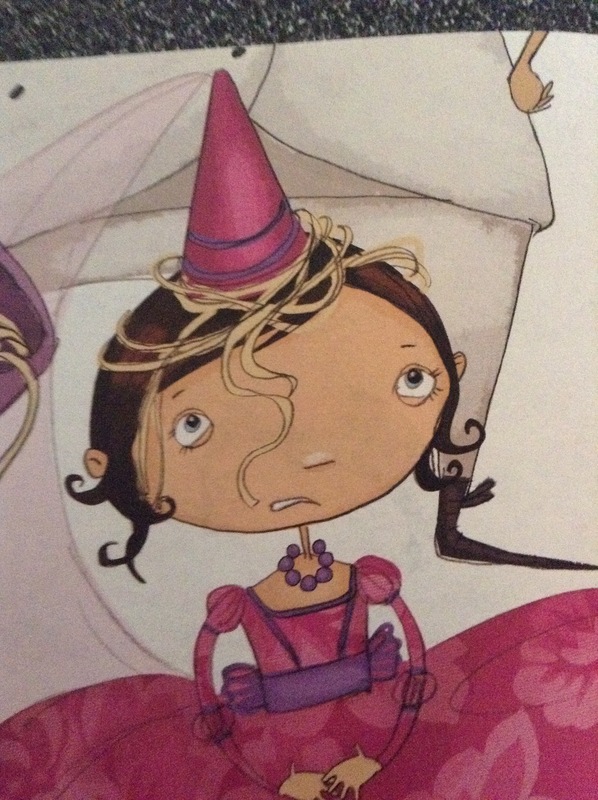 The princesses in attendance make fun of her “spectacles” and make her feel horrible. She decides to go without her glasses to try and fit in and ends up running into many hairy situations. At one point Princess Peepers falls out a window onto what she thinks is a horse. She of course cannot see it well without her glasses. It ends up being the prince!! She explains she can’t see him without her glasses, and low and behold he wears glasses too. They wed and and everyone lives happily ever after! I really like this book. 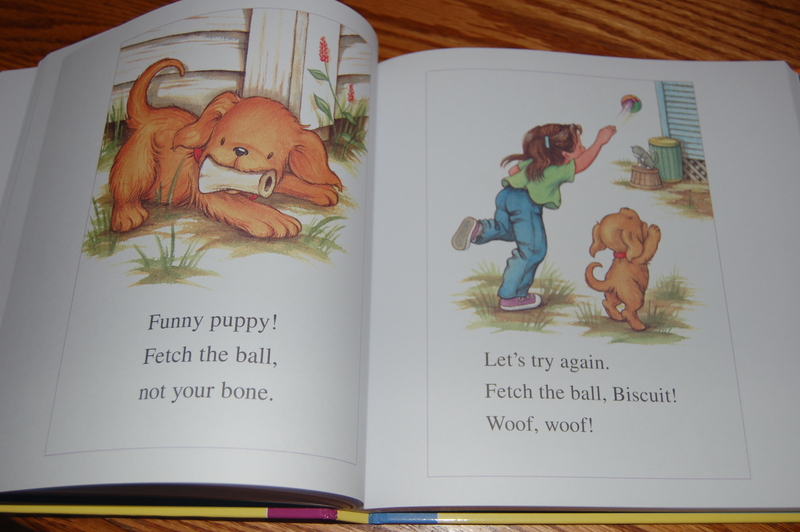 I liked how it covers how a child might feel if they have glasses and go somewhere where they encounter criticism. This is real life and very tough for children. Even though she loved her glasses she wanted to fit in more and so she goes without them. Again I feel this is very true to life. I appreciated in the end that she, above all the other girls, ended up getting the prince. It just goes to show you that being yourself in life will get you where you want to go! I love Pinterest as much as the next person. I usually pin crafts I am interested in or gardening things, or maybe even something about health. Just recently I thought to myself “I wonder if there is anything thing on Pinterest for writers?”. To my pleasant surprise I found TONS of awesome pins to add to my new “writer” board! Try it for yourself. 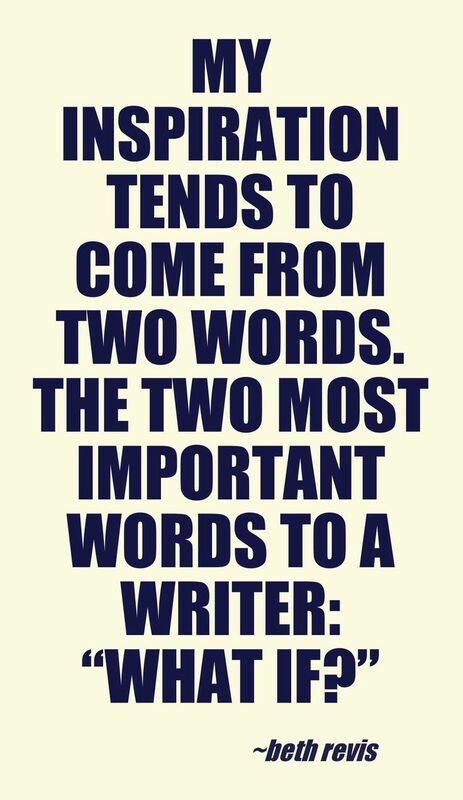 Just search “writing” and you will be happy with the results you get. I have included some below. 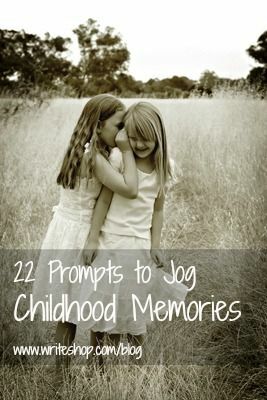 There are so many fun ideas to check out! You can follow me on Pinterest if you would like, my Pinterest name is “momtomany”. It is that time of year again! Time to submit your manuscript to the MeeGenius Author Challenge. If you have a manuscript you have been sitting on for awhile and are ready to get it moving consider submitting it for the challenge. The winner gets a $1500.00 cash prize, and published on the MeeGenius site. It really is an awesome opportunity. Follow the link below to read more about it. Writing Contests. Will you be a winner? What: picture books of 400 words or less.Winners will score $150, a manuscript appraisal, a certificate and the chance to have their manuscript viewed by Sue Whiting, Publishing Manager at Walker Books Australia. All participants receive feedback. Who is eligible: There is an Australian, International and Illustrator segment. What: winning illustration entry gets a free trip to the winter SCBWI conference and lunch with Tomie de Paola. Note that this year’s competition is a two-part competition. What: Submit a completed fiction manuscript or biography for the chance to attend a live event and read 2 minutes of a manuscript. Winner will be chosen by vote from judges and the public. Winner will be signed to Mithra Publishing with a PR agency. What: Twitter pitch party with agents and editors. Check the website for rules and additional details including a participating list of agents and editors. What: Christian magazine seeking unpublished stories 750-1000 words. Award: $500 and publication in Pockets. Submit with SASE. Award: Inclusive Works, KAZDU and Clavis Publishers invite you to submit a story for an international children’s stories competition “Grandpa, grandma and I in the multicultural society.”for children either in the age group of 1-3 years or 4-6 years. 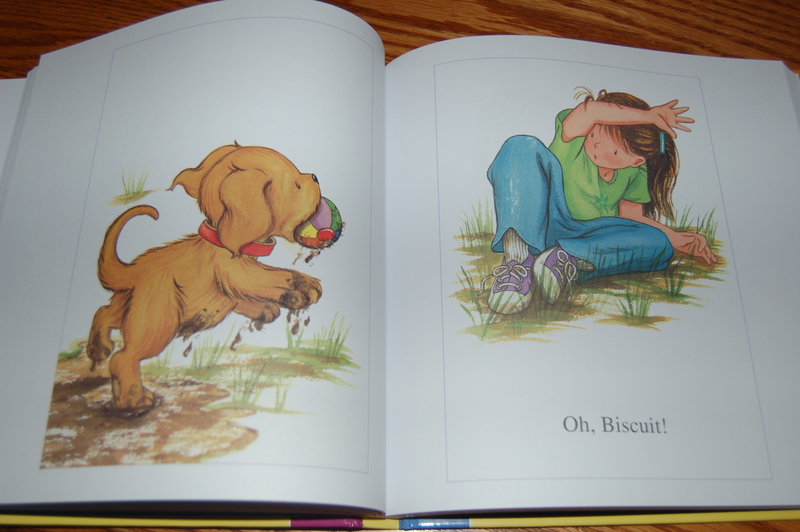 Both winning stories will be published by Clavis Publishers as illustrated children’s books in Dutch and English. 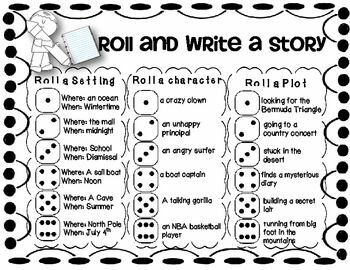 What: Write a story with a holiday theme and share on your blog or at HTTP://SUSANNAHILL.BLOGSPOT.COM. Top stories will be chosen and eligible for prizes. Check the website for specific contest guidelines and rules. It is a crazy circle. The publishing industry wants you to have already been published before they will publish you themselves. How do you get published to have some credit behind your name? I think your best bet is to grab a writers guide. (Writer’s & Illustrator’s Guide) Here you will find a wealth of information on publishers for your genre. If you are wanting to be published to get some credibility behind your name look for those magazines that publish without pay. I know, I know we all want to be paid for what we write, but think of it as a stepping stone. A way to get to where you want to go. If what you need is writing experience to add to your query letter than that may be a great way to get it! You may also want to look locally. There are several local magazines that are looking for local articles about the area, or maybe you could write a spot for your local paper. I am sure they would love to hear from you. They like a fresh perspective. Be sure you represent your self professionally even if the gig is for no pay because remember it is a stepping stone to your future as a writer! You can do it! Just use your resources. Have you been considering pitching an agent with your work? I have been thinking about it, and so I have begun my research on how to go about it. This is something I have never done before and since this blog is all about walking along the path to publication I thought I would share my knowledge and experiences with you! I hope all of these links come in handy for you on your road to publication as well. Of course you will first want to find an agent that would be suitable for you and your work, and a great place for this is http://www.literaryrambles.com/ on the left side of the page you will find where the categories are broken down into agents who rep PB, agents who rep MG and agents that rep YA. This will take you to “Spotlight” agents that you can read more in-depth about. This site is extremely helpful when starting your research! Once you find an agent that you feel would be suitable for you then do a google search with just the agents name. This will help you find out more about that specific agent and what they are looking for. You may be able to find a personal website, blog, or even examples of queries that have snagged them in the past! When you have found out more about your agent then you will want to start working on your agent pitch. Before starting turn to Nathan Bransford’s site as it will have the information you need to get started. Another great spot to find tons of information is Mary Kole with the Andrea Brown Agency. Pitching to an agent does take a bit of research to find the right person and agency but it will be worth it in the end to have that expert in your corner representing you! Hope this helps you on your path to publication! 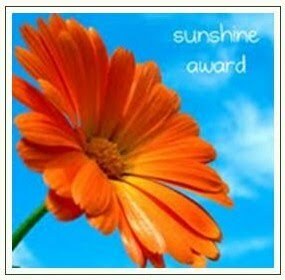 Thank you so much Julie Rowan-Zoch for nominating me for the sunshine blog award. I love that you thought of me for this honor! Soooo I have answered the 10 questions about myself below and have nominated other winners who also add to the wonderful world of blogging! 1. Favorite color: I love Green! 3. Favorite number: 7 because I have 7 children! 5. Facebook or Twitter: Facebook. I don’t spend a lot of time on either, but I would pick Facebook! 6. My passion: Obviously writing, but other than that I have a passion for raising my children and spending quality time with them! 7. Prefer giving or getting presents: I will indulge, I love getting presents, the mystery of it is just so fun. 9. Favorite day of the week: Wednesday because I tend to be able to relax on wednesdays, since I work on the weekends wednesday and thursday always seem like my real weekend. So now I have to announce my 10 winners that I will pass the award onto. Thank you for all of the inspiration you provide in your blog posts, I love reading them when I have a chance! !